Let’s Talk Shred’s secure shredding services can help yo comply with the Data Protection Act 1988 on an ongoing basis – whatever your volume of confidential material and whatever your size of business. With our flexible, cost-effective service covering Tayside, Angus, Perth and North-East and Central Fife, we can quickly respond to your needs, ensuring your confidential paper waste, information on digital media storage and out-of-date company uniforms are securely and speedily destroyed. If you’re faced with a mound of confidential paperwork to shred, outdated digital media storage to safely destroy, or old uniforms to get rid of, Let’s Talk Shred can help. From one bag of waste to hundreds, we can deal it all for you. 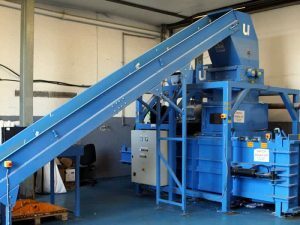 Find out more about our one-off shredding services. With our secure collection cabinets installed at your business premises, it’s easy for staff to deal with confidential waste paperwork. We then regularly collect and effectively destroy it, so no confidential client or business details are exposed Find out more about our regular paper shredding services. At Let’s Talk Shred we take our security responsibilities seriously. We destroy all confidential material at our secure premises in Dundee within 24 hours of receiving it. All our staff are vetted to BS 7858 standards and the Let’s Talk Shred secure process runs from receipt to destruction and right through to recycling. For more information or a quote, call us on 01382 725162, email us at sales@letstalkshred.co.uk or contact us online and we’ll call you back.